Pink flowers are perfect for everyone from your girlfriend to mom or daughter, and look beautiful in any garden. From pink peonies to pink roses, you’ll find photos and information on 21 different types of pink flowers. 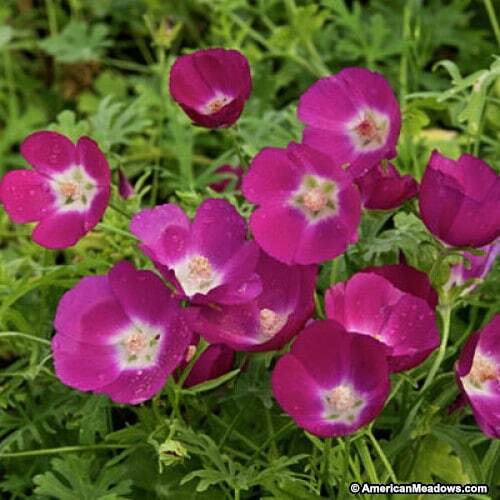 These long-stemmed flowers are perfect for around rock gardens or used as a border along a flower bed. 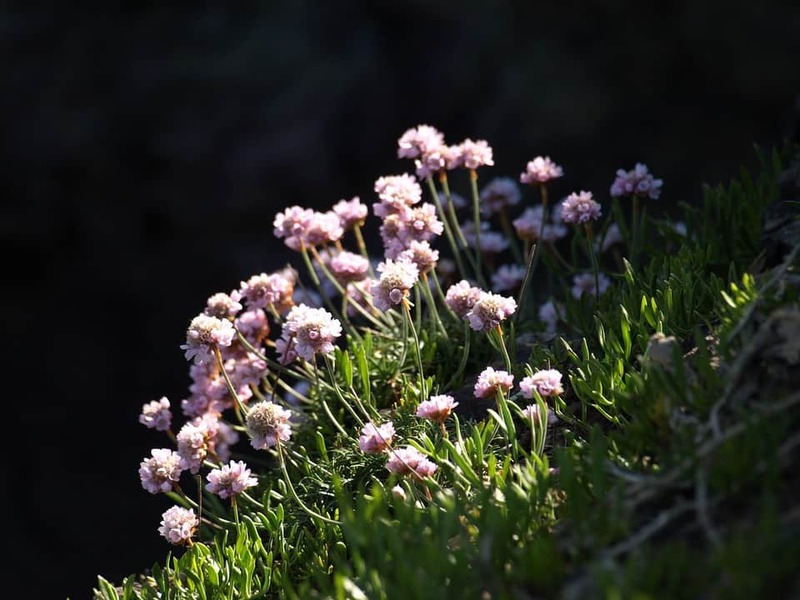 They form a carpet of grass like leaves with beautiful pink globe-like flowers rising 6 to 8 inches from them. 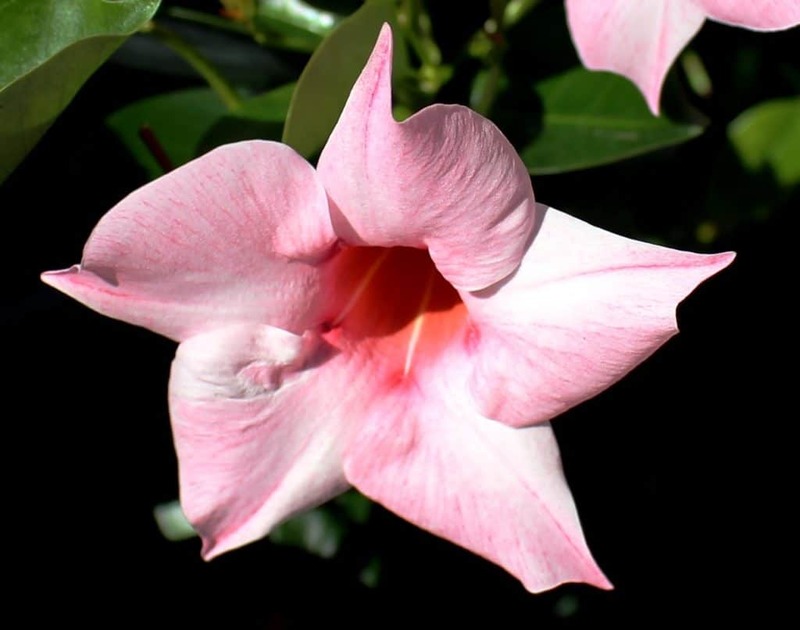 These tropical looking vines with beautiful pink flowers will crawl your trellis or fence. They are thought of as an annual but you can bring them inside over the winter, pruned in spring and placed back outside for summer. These will grow up to 15 feet and are very fragrant. 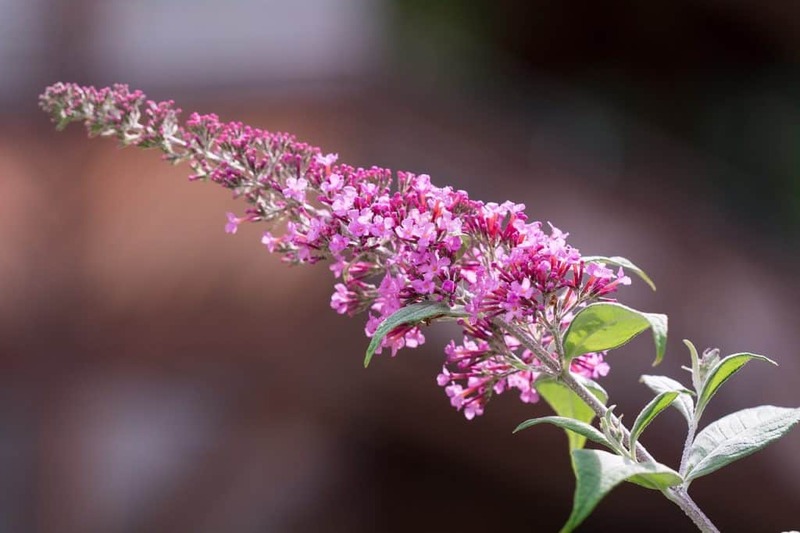 The butterfly bush will attract hummingbirds as well as butterflies with its sweet smelling flowers. Phlox subulata is more commonly called “Creeping Phlox”. These small dense flowers are great for use as ground cover on a hillside or area you would like to border. They are quite fragrant and attract hummingbirds. These are annual flowers which you can plant in a box or ground. Petunias also make great ground cover. Some varieties will drape out of a box to create a beautiful waterfall look. Roses are some of the most popular flower. They come in a variety of pinks from light pink to bright pink. They do require a decent amount of pruning and maintenance. 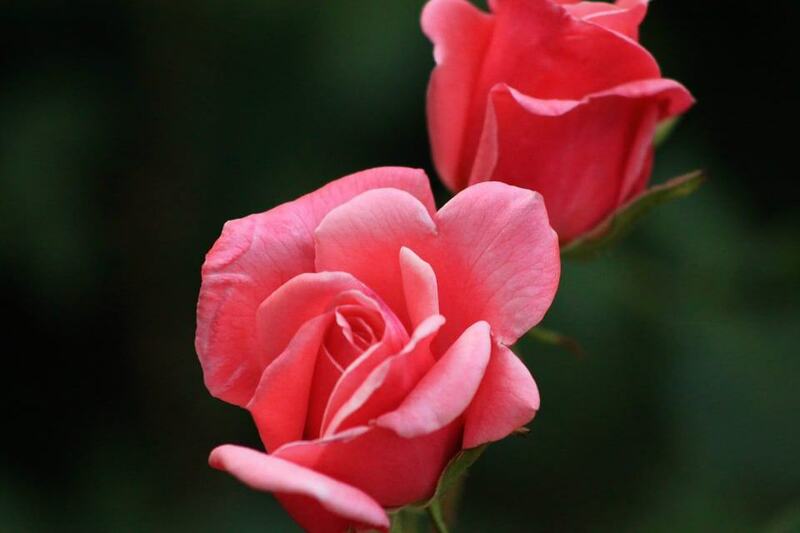 Learn more about the meaning of pink roses. 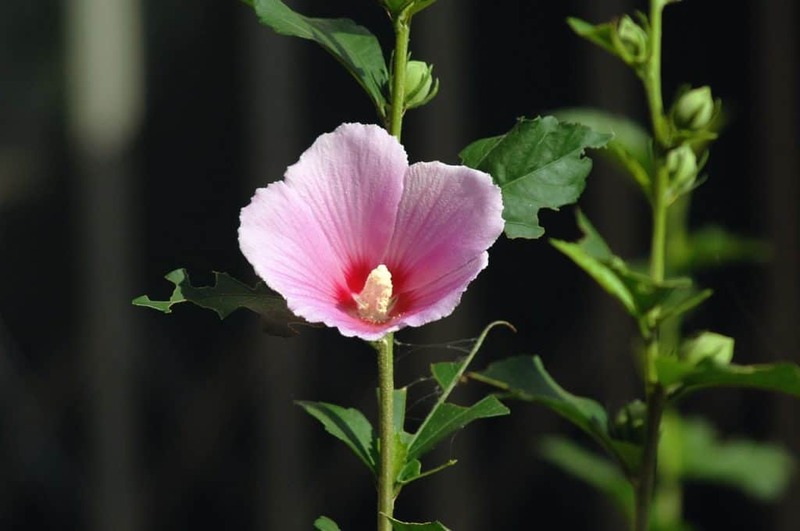 Hollyhock are very tall, upright biennial which attracts many different types of birds. 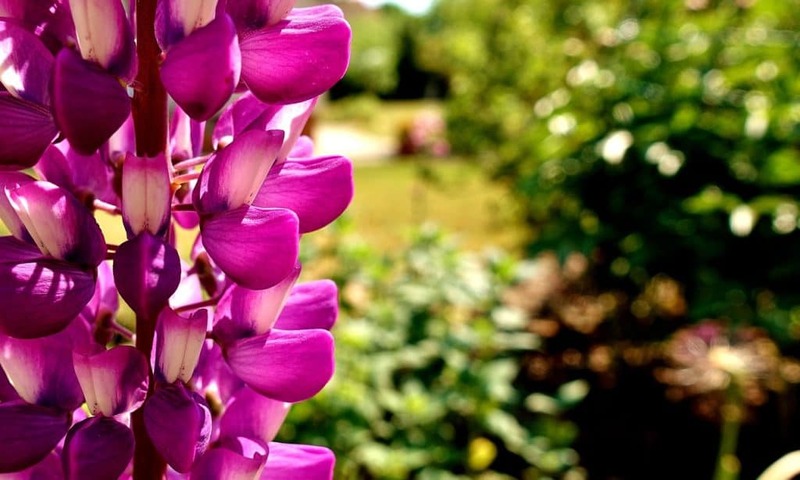 These flowers will climb a trellis or picket fence and are perfect for privacy. Hibiscus are very large flowers which can grow 3-5 feet wide. They also can grow 3-5 feet high. They typically bloom in the spring but may be slow to bloom. 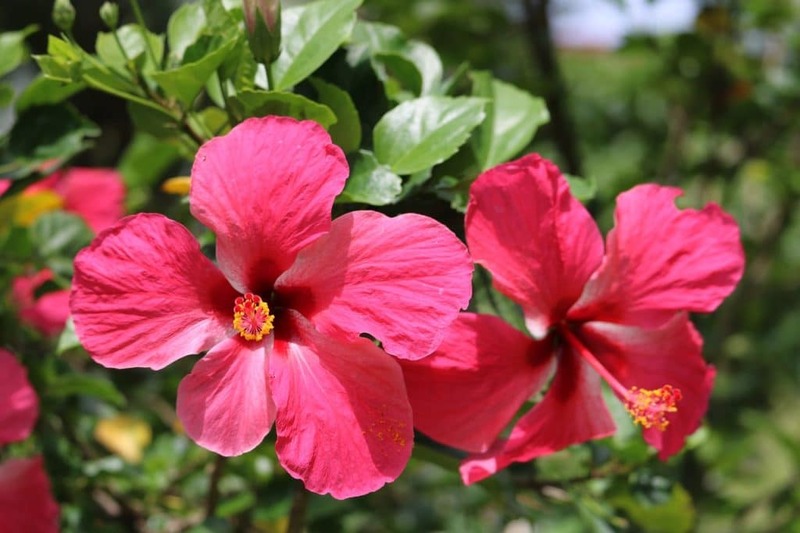 If you like hibiscus, you may like other types of tropical flowers. 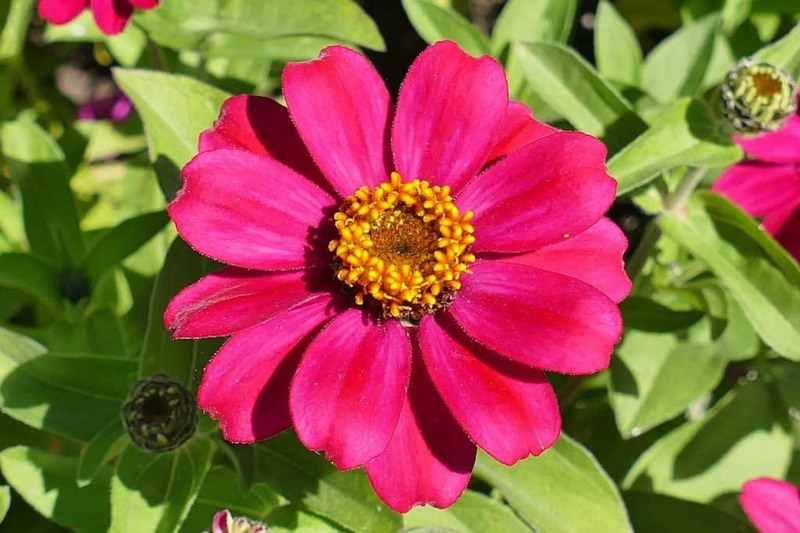 Zinnias are some of the toughest and hardiest annuals that one can plant. Depending on the specific species their flower petals can vary between cactus like needles and small pom-poms. They attract bees and hummingbirds as well as other pollinators. 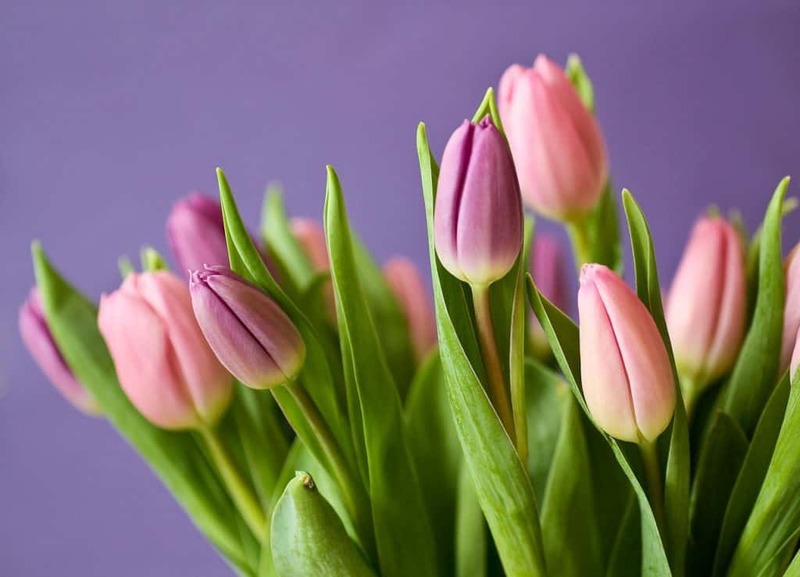 Tulips are the 3rd most popular spring flower and are frequently used as cut flowers due to their almost perfectly symmetrical buds. 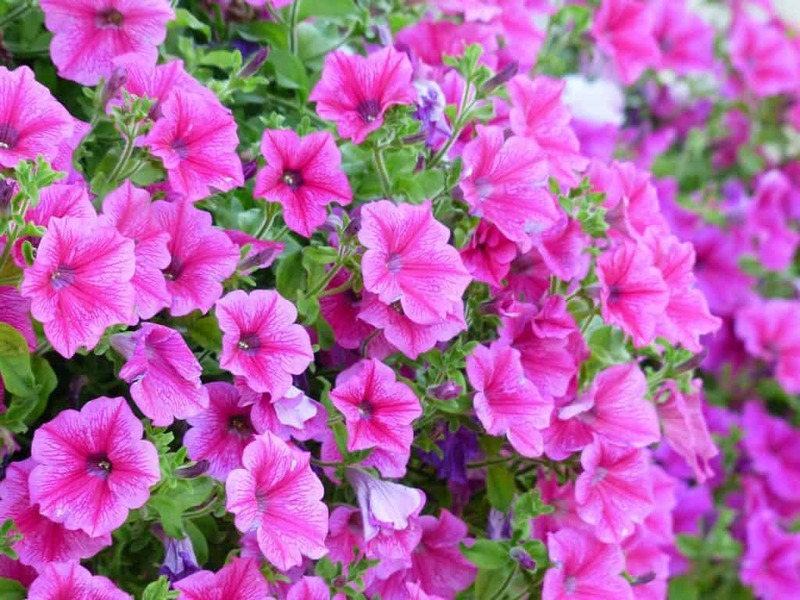 They grow in a variety of pinks, as well as other colors. 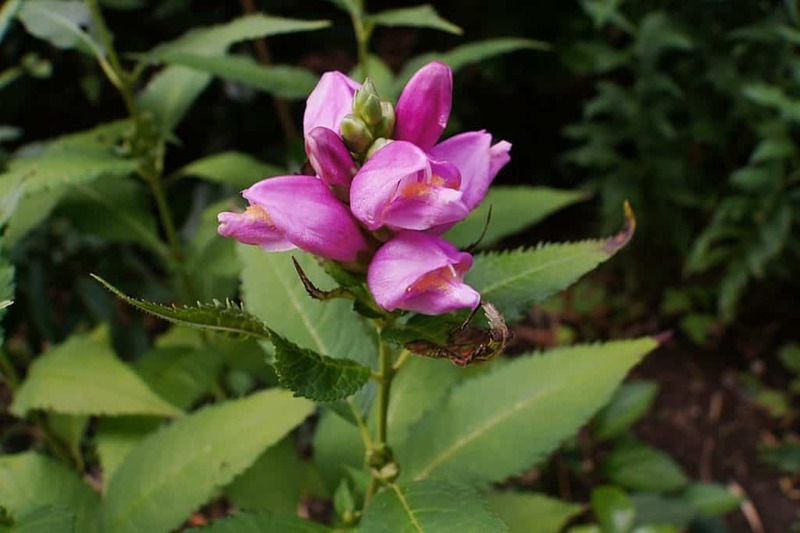 The Chelone receives its nickname “Turtlehead” from the flower bud which closely resembles snapping turtles. These perennials thrive in heavy wet soils from late summer to early fall. 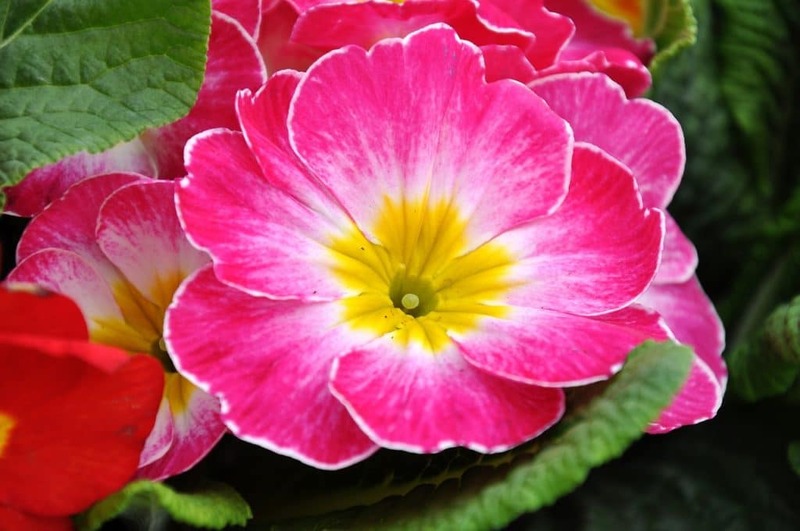 Begonias are tuberous annuals with double blossoms. They are edible, though they have a sour taste. Begonias are best grown indoors in pots. 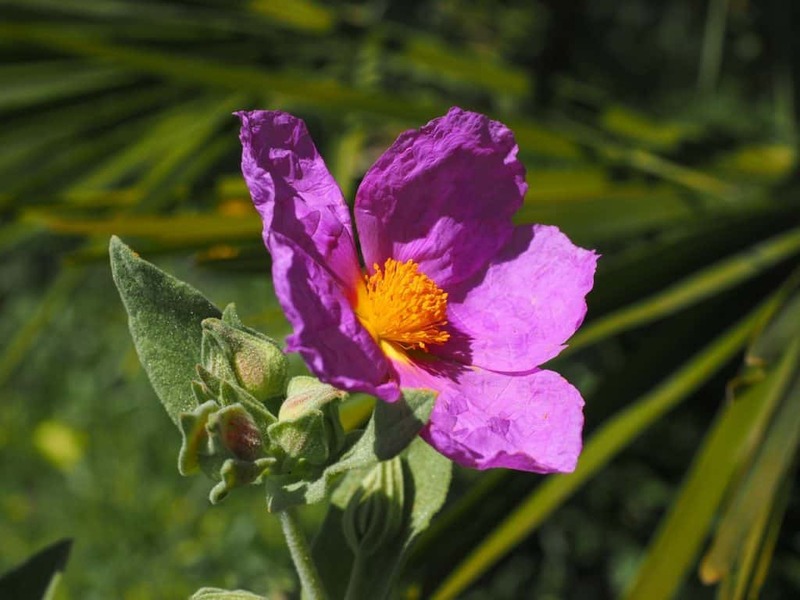 The Texas Rock Rose is a hardy flower which is able to thrive during times of drought and extreme heat. 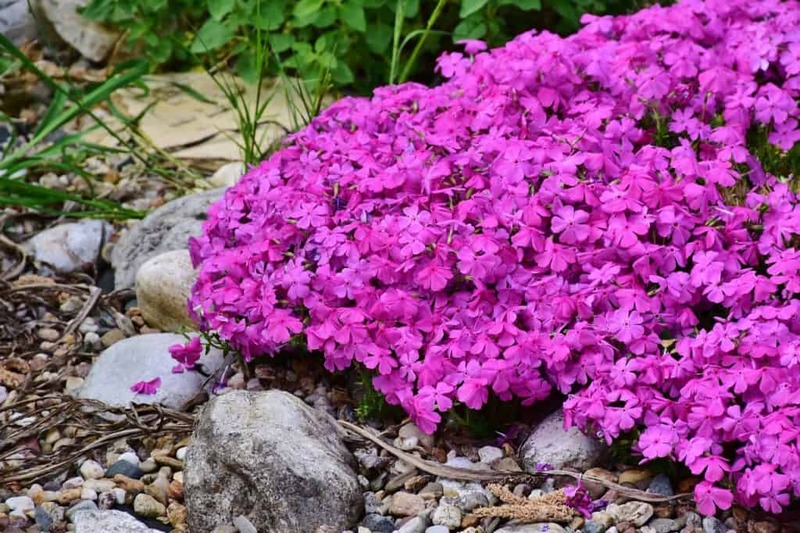 They are excellent as ground cover or to edge a flower bed. 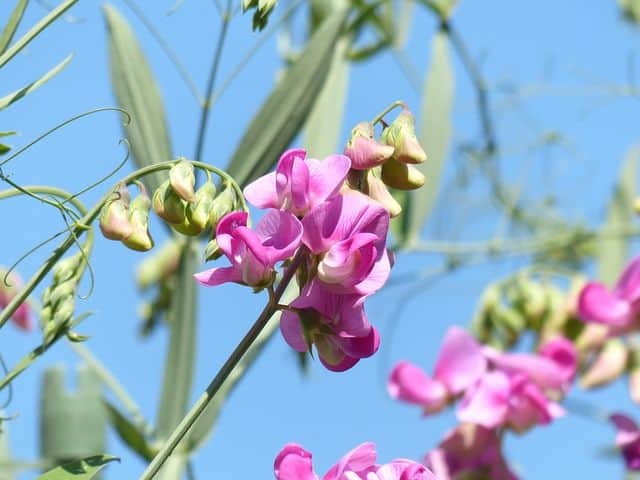 Lathyrus is also known as “Sweet Pea”. These beautiful pink blossoms are very fragrant. They prefer the cooler temperatures and will begin to wilt once the summer heat sets in. Lathyrus plants need a trellis to climb but are also used in bouquets. 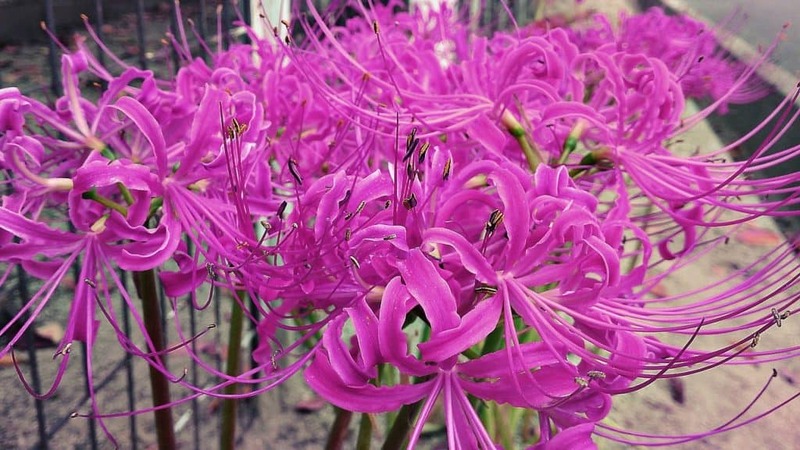 Lycoris is also known as “Spider Lily”. 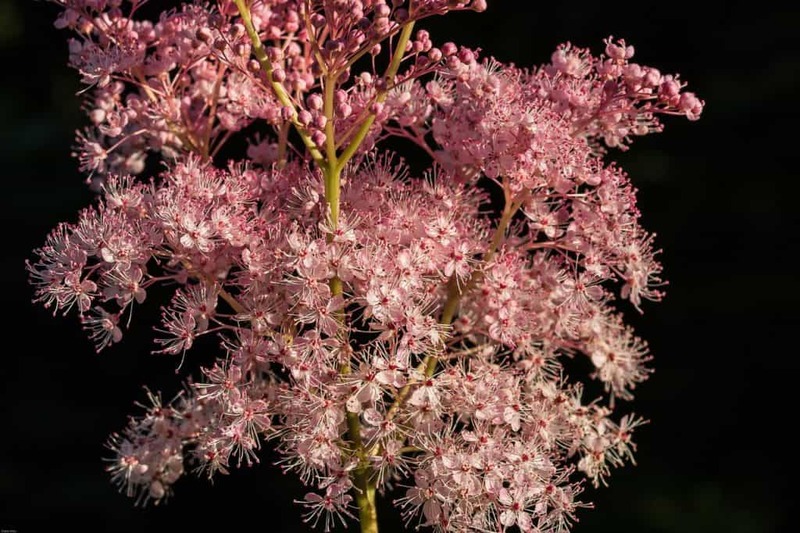 It has earned its name from the spider-like blossoms which bloom on stems with no foliage. Though they are beautiful, they are toxic to animals. Antirrhinum majus is also known as “Snapdragons”. These beautiful blossoms grow in colors from light pink to bright pink. They are often used in bouquets and as cut flowers in a vase. They are a large source of nectar for pollinators. 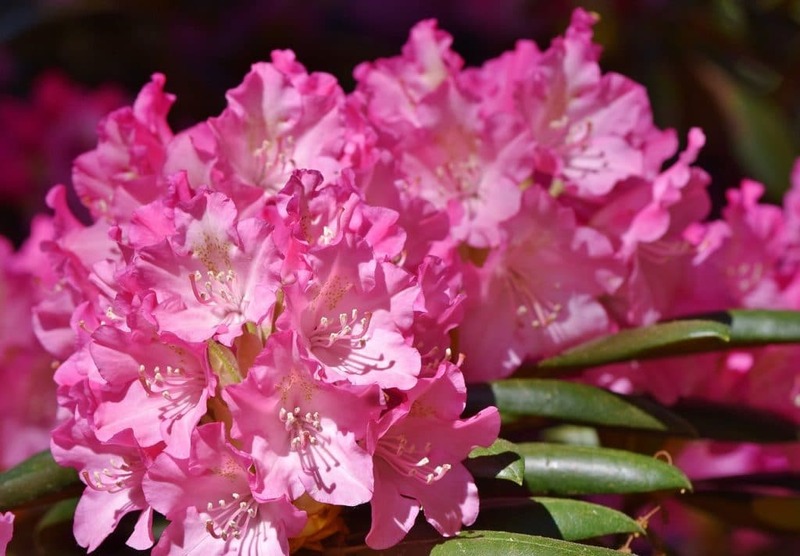 Rhododendrons are often used as privacy in a garden due to their shrub like appearance. They have broad leaves and boast globe like flowers. Queen of the Prairie are also known as Meadowsweet. Cloud like clusters of flowers grow from toothed leaves. They look delicate but they are a hearty flower which can thrive in a variety of soils. Primrose flowers adorn many cottage paths. 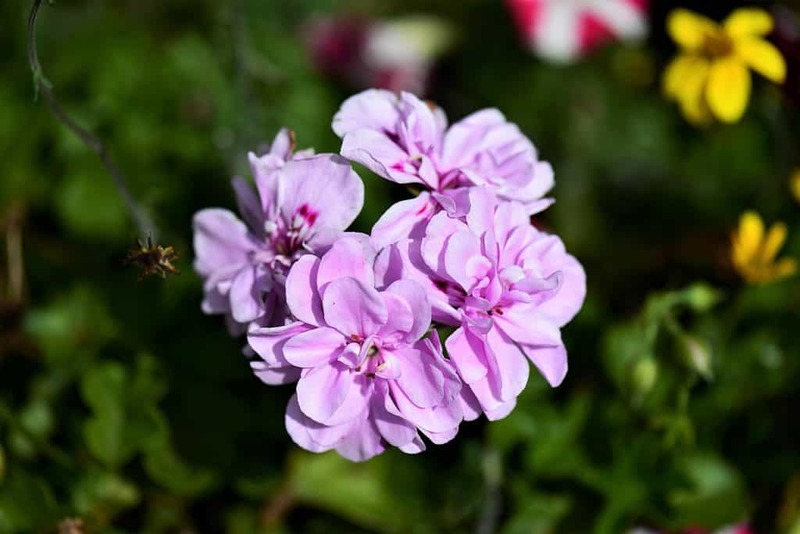 They are low maintenance flowers which attract a variety of birds with their fragrant buds. They also grow well in containers. These neon magenta flowers are a popular cottage flower. They easily adapt to drought conditions but are not easy to transplant once they have established themselves in a garden. They are good for container growing or as ground cover in a garden. Peonies are some of the most fragrant flowers grown. They are often used in bouquets as they look delicate and wispy. They are easily maintained and will thrive for years to come.